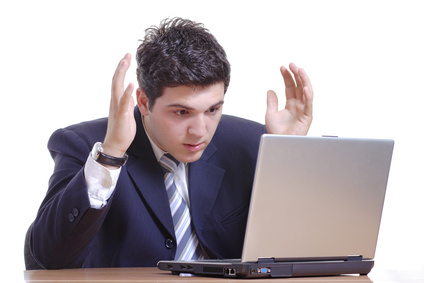 In this article Internet Man, an experienced email administrator, explains why you can’t receive email. Here’s the scenario: Your best client calls and says they sent you an email but you didn’t get it. Why can’t you receive email reliably? First off forget the notion that the email disappeared. Emails don’t disappear. They get filtered, they get rejected, they get downloaded to other devices but they don’t disappear. There is always a reason why you can’t get your email. It takes years of experience and hard work to figure out why, but there is ALWAYS a reason. 1. Did your client get a bounce message? 2. Your mailbox has reached capacity. It’s full. 3. The client’s mail server is black listed. This happens a lot. 4. Your client’s mail server is not configured correctly, such as not having a public fixed IP address and reverse DNS. If the email left the client’s outbox, and they did not get a bounce message, then your mail server accepted the email. Email administrators cannot start a diagnosis until they have the bounce message in hand. While clients tell you they didn’t get a bounce message I don’t believe them. People aren’t knowledgeable in this area and frankly just don’t care. They always assume that it’s your fault and it usually isn’t. It can’t be their server, right? You must get communication established. I do this by sending THEM a message, telling them to reply to it. This way you know they have the right address. Ask them on the phone if they got your message, ask them to reply to it, and wait to see if they got it. 3. If you get a bounce message, read it. I can’t tell you how many times people call me when all they have to do it read the bounce message. Sure it’s cryptic but it will tell you exactly why their message was rejected. People do crazy things such as hosting mail servers in NAT addresses. Any managed mail server checks for valid fixed IP, reverse DNS, properly formatted mail, and other basic tests before letting mail in. I’ve seen big companies with misconfigured email server. The sender’s email address domain is checked for validity. The email server’s IP is checked to make sure it exists. There must be a reverse DNS in place stating who they are. Is the email formatted to ISO standards? A lot of machine-generated emails aren’t. The mail server IP is checked against known blacklists. I use Spam Cop. Other mail servers use more than that such as Barracuda and Cisco. 5. Next it is subjected to spam filters. Most mail servers subject mail to spam tests before you even see it. If the mail server deems the message as spam you and your client will ever see it. We set our mail server spam filtering fairly low – about a 3 out of 10. People say they hate spam but they hate losing business even more so you can’t set these filters too tight. If a message is missing it could possibly have been caught here. All server based spam filters need to be trained. In my case this is done by going into web mail, looking in the spam folder, and manually white-listing the message. This trains the system to let that person through next time. People’s email often looks like spam with backgrounds and fancy fonts. Ask your mail server about server side spam filtering. To reliably receive mail you have to know about it and work with it. All email servers have web mail. Knowing how to use web mail is critical. When you use web mail you are literally looking directly into the mail server. It is an essential diagnostic tool. Web mail represents the halfway point between your client’s email server and your desktop. Have your client send you an email while you are logged into web mail. Click “Get Messages” as they do. If the mail shows up, fine. If not, it got stopped somewhere above. If the mail shows up then your mail server is working fine. There are a lot of things that can go wrong and ALL of them are your fault. Here are the most common things that go wrong starting with the most prevalent. If your getting your email on two devices, such as a PC at work and another PC at home, and don’t know exactly what you’re doing, you will have trouble. Multiple devices is the most common cause of “lost” email. It isn’t lost. It’s sitting on another computer, phone, or tablet. To fix this switch to IMAP email. IMAP email retains all the mail on the server. The devices – computers, phones, and tablets – merely point to the server. IMAP is the only protocol that can handle multiple devices. If you have POP3 mail and use more than one device, you will have problems. Some people are packrats. They keep everything. Your mail isn’t a storage device. If you want accurate, free flowing mail you’ve got to run a clean box. I’ve seen people with 50,000 messages in their email. It’s easy to lose mail in there. Don’t crank up your filters and expect not to lose mail. Set your filters to catch the obvious stuff and nothing more. When you get aggressive you start getting false positives. Believe it not this happens all the time. Routinely I get calls from people telling me all their email just “disappeared” from Outlook. Outlook isn’t perfect and it loses it from time to time. Fortunately most of the time Outlook can be recovered. I tell me clients to Google the error message. There are patches available that can bring the mail back. The best remedy for email problems is to change your email address. I have clients that hang onto old email addresses like grim death complaining that they can’t possibly change their address because so many people have it. An old email address, especially one that has been exposed on web pages, comes with tons of spam like baggage. As an email administrator old addresses that are on thousands of spam lists are impossible to defend. No matter how well you defend a box with email filters you’re always going to have spam get through and more importantly, have good mail stopped. Do yourself a favor and just bit the bullet and change your address. It is never as bad as you think it is. The only way that you’ll get a pristine box that contains nothing but good mail is to change the address. Give us beleaguered email administrators a fighting chance and we’ll give you back perfectly functioning, stress free email.o better remedy for faulty mail than changing the address. Nobody wants to do it but when you do the results are wonderful! What you’ll have is a clean box with all good mail.